Pilot Iroshizuku Take-Sumi Ink Review – Pens! Paper! Pencils! 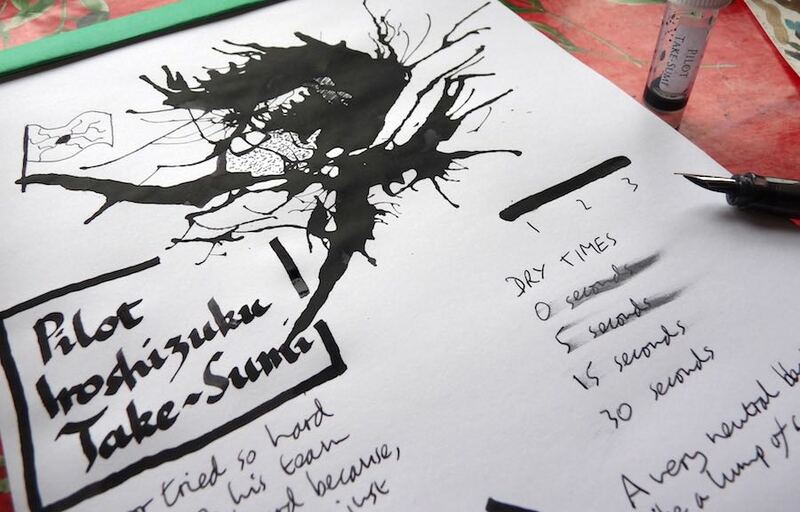 Pilot Iroshizuku Take-Sumi is a great black, flat and neutral in tone, like a lump of coal. It’s not as black as, say, Aurora Black but it’s not far off. I really like this one. 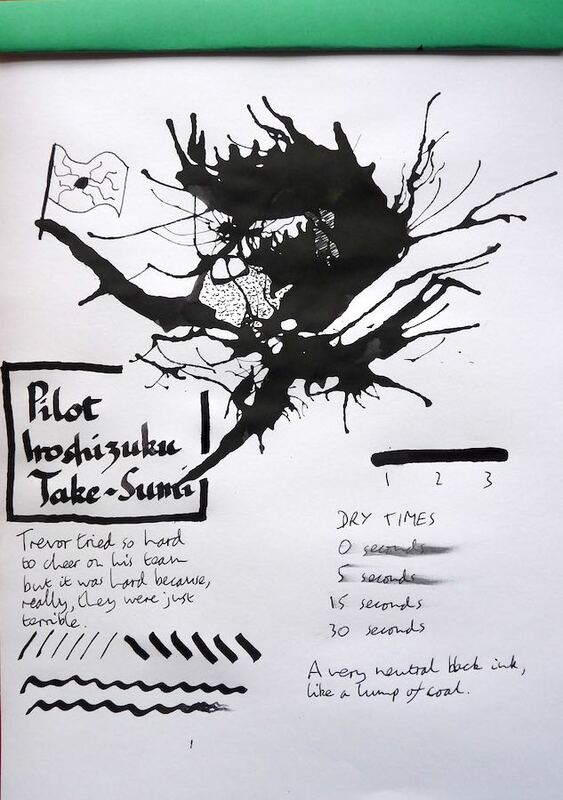 You can find some more reviews of Pilot Iroshizuku Take-Sumi on Pennaquod. Many thanks to Pure Pens for sending me this sample.